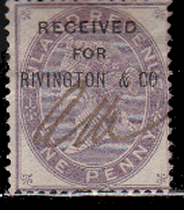 Rivington & Co. was a London-based publishing company founded by Charles Rivington in 1736 and continued by his sons and grandsons until at least 1897. 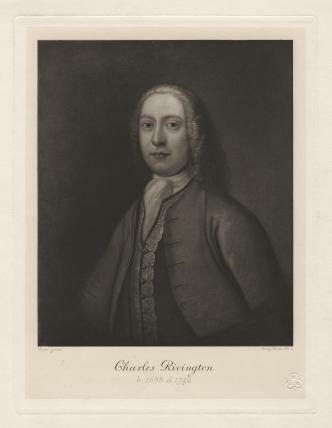 In 1736 Charles Rivington and a partner called Bettesworth established a company of booksellers called The New Conger, rivaling an older firm called The Conger, which dated from about 1700. From selling books, Rivington moved on to the business of publishing books. In 1741 he published the first volume of Samuel Richardson's novel Pamela, or Virtue Rewarded, which is widely considered to be the first ever novel in English. Pamela was the bestseller of its time and was read by countless buyers of the novel. It was also integrated into sermons as an exemplar. It was even an early “multimedia” event, producing Pamela-themed cultural artifacts such as prints, paintings, waxworks, a fan and a set of playing cards decorated with lines from Richardson's works. After his death in 1742, Charles Rivington was succeeded by two of his thirteen sons, John and James. John later emigrated to the United States while John carried on the business of Rivington & Co. on the lines marked out by his father and went on to become the great Church of England publisher of his day. In 1760 he was appointed publisher to the Society for Promoting Christian Knowledge and the company kept up this relationship for over 70 years. Rivington & Co. went on to publish standard editions of the works of Shakespeare, Milton, Locke, and other English classics. Following the death of John Rivington in 1792, the company remained in the hands of successive generations of the Rivington family until at least 1897, all the while maintaining its reputation for religious and educational works.